(Psychotherapy & Counseling), M.Phil (Psychology) & D.Sc.(AM). Consulting Psychologist, Psychotherapist & Counsellor. She is a proud alumni of the prestigious Madras University, Annamalai University, IPMS, The Global Open University and the Bhagwant University. She is a practicing psychologist, Psychotherapist, Counsellor, Educationalist &Yogic scholar. For over 15 years, Dr. Lakshmi Rajan has devoted her life and work in the research of human behaviour. Through her intensive research, she has developed Mind management and Delta State Meditation, a breakthrough in the psychological research, which has brought remarkable results in the treatment of Psychological disorders and has given a new lease of life to many people. Her Advanced and Effective therapies have brought transformation in the lives of many Special Children & Psychiatric Patients and made them to lead normal and independent life. A lady from remote village of Tamil Nadu, a proud alumini of many prestigious universities with exceptional Knowledge & vast experience, an intensive research scholar, an accomplished Psychologist and a compassionate humanitarian got offers from several universities, Health Care Industries and Corporates which she had rejected with smile irrespective of the high designation and devoted her full time for the service of humanity across the country. Her simplicity, humbleness and service transformed many lives across the nation. She is a mentor and guide for many leaders, professionals & doctors. Her values and knowledge made others to learn for their life and work. She leads by example and is a role model. She has extended her selfless service to the prisoners of District Jail, Bareilly, UP and Prisoners and Police Officers of Central Jail, Puzhal, Chennai including women and juveniles. Her Stress management workshops have given a new ray of hope to the lives of the women prisoners and juveniles. She served as volunteer psychologist to ASHA School for Special Children. Due to her guidance, the School has reached new milestone and positive transformation. Her lectures, Therapies and counselling to special children, Special Educators & parents brought new ray of hope and confidence in them. Because of her tireless efforts a student of the special school got cured and transferred to normal school. She has extended her service to the girls and women in the orphanges across the country to give moral, psychological support and empowerment. She is an exemplary in service to mankind. Her Positive attitude and Selfless Service has brought many people to follow her path in the service of humanity. She has established round the clock suicide prevention counselling service (online and telephone) to prevent suicides. This is a steeping effort towards saving the precious life of human being by giving psychological counselling and moral support. Because of her valuable service she has saved the lives of many and gave them confidence and new life. 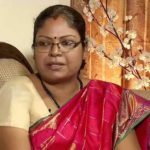 She has conducted PTSD and Stress Counseling workshops to the girls at schools, colleges and to women in hutments across the coovum river in Chennai. She has extended her services during Chennai Floods by providing food and basic needs for women and children to the people of the hutments of Coovum region which was highly affected during the floods. To support this act, Indian Express, The Hindu, Daily Thanthi and FM 104.8 joined hands . Her works was appreciated by many media and President, AWWA, DB Area. A lady from remote village of Tamil Nadu, a proud alumini of many prestigious universities with exceptional Knowledge & vast experience, an intensive research scholar, an accomplished Psychologist and a compassionate humanitarian got offers from several universities, Health Care Industries and Corporates which she had rejected with smile irrespective of the high designation and devoted her full time for the service of humanity. She leads by example and is a role model. Award of Doctor of Science in Alternative Medicines D.Sc. (AM) by OIUAM for Medical Services to the Society year 2017. Award of Maruthuva Chemmal by SC Trust 2016. Honoured as chief guest at District Jail, Bareilly, UP on Republic Day celebrations for selfless service to Prisoners and Juveniles year 2014. Award for Valuable contribution for the Society by Advocate Rajeev Sharma Memorial Trust, Bareilly, UP Year 2014. Award of Professional Excellence by Indian Army for her selfless and dedicated service for the men and families of Indian Army year 2013. Award of Professional Excellence by Indian Army for her selfless and dedicated service for the men and families of Indian Army year 2011. Honoured by Chetak Asha School, Bathinda, India year 2011. Honoured by Red Cross De addiction Center, Bhatinda, India year 2010. Honoured by Times of India for her selfless service to UP Police Force year 2009.